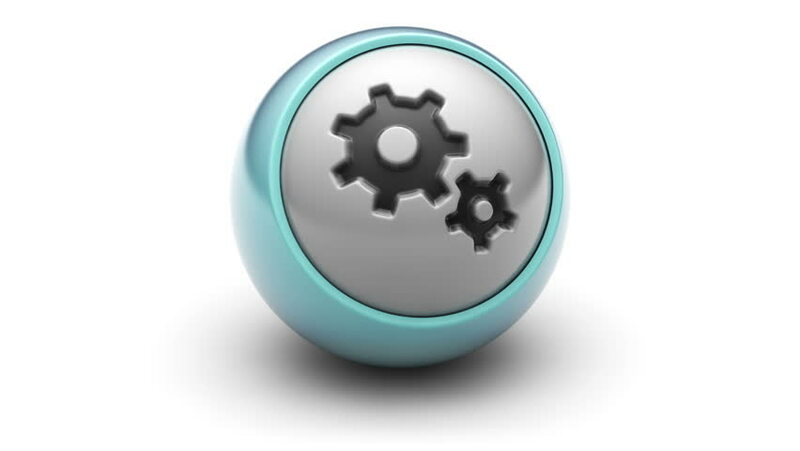 Gear icon on a ball. Looping. hd00:06Gear icon on ball. Looping. hd00:10Animation rotation of symbol about technology, computers and programs developing. Animation of seamless loop.